Shopify bulk delete is tricky, and if you had serious need to delete selected products, and lots of them, you know how tricky. 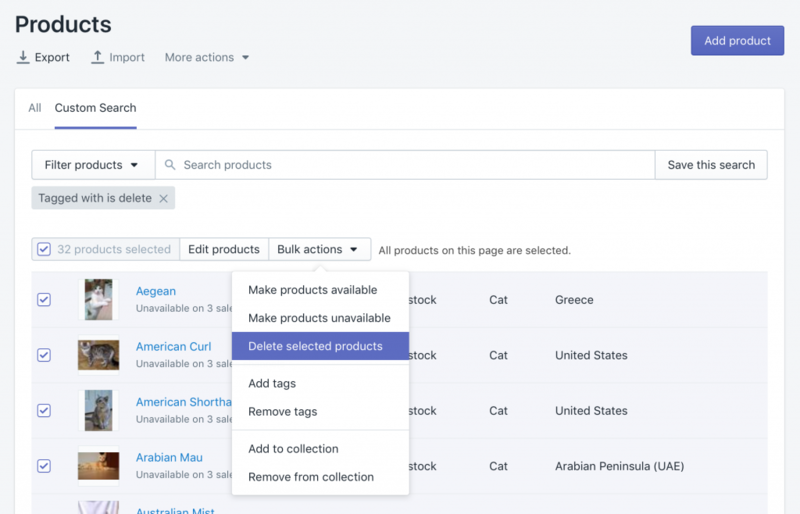 But there is a better way to bulk delete Products from Shopify Admin, especially in cases, when you need to delete several products on several pages by criteria which are not available in search. Export all products into Excel file with Bulk Import Export Update with Excel app. In the export file, you will notice the column “Command”. Change the value of this column to “DELETE” for those products you want to delete in bulk. Remove all the other rows from the file, which you don’t want to delete so that your file remains only with products you really want to delete. You can delete Products by ID, by Handle, by Variant SKU, by Handle that is calculated from Title. This method is very useful if you need to delete a lot of products that are located on the several sheets in Shopify product list. There is no need to browse from page to page. 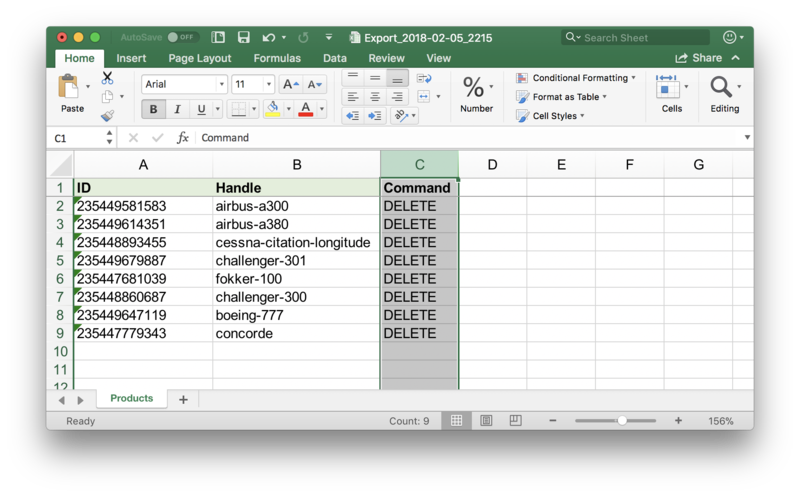 You can filter products in Excel spreadsheet by any parameter you need and set Command to DELETE. You can have in the rows with a different command for each product, in the same import file. For example, with the same import, you can delete all products that are out of stock, and update all products inventory quantity, that is still in the stock. Just set the UPDATE or DELETE command for each product respectively. Install the “Bulk Import Export Update with Excel” app from AppStore and do your Shopify Product price update. 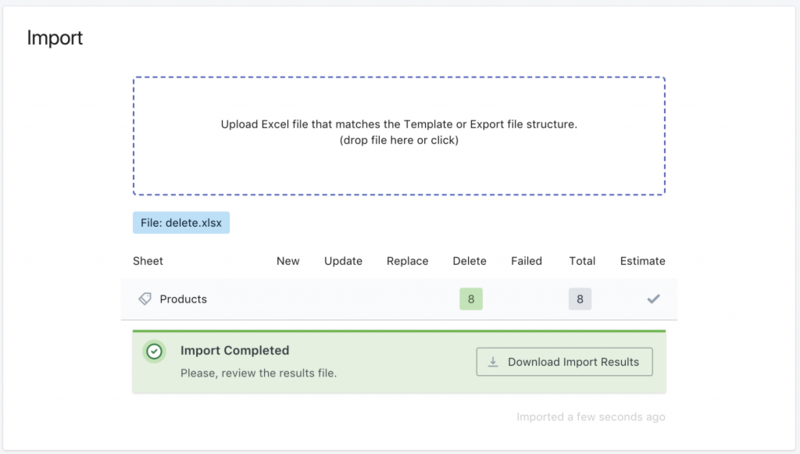 Read the Field Descriptions about the Excel file columns that can be exported and imported to Shopify. Ask our Support to help you prepare the import file, report an issue or ask for a new feature you desperately need.